Colin Telford hoping his Roses team can benefit from good fortune ahead of Malachians test. ROSARIO manager Colin Telford is hoping his side can halt a run of three consecutive defeats when they travel to Greencastle (Shore Road Playing Fields) to take on Malachians on Saturday. The Ulidia men had gone on a five-game winning streak but recently their topsy-turvy season took a turn for the worse as good fortune has deserted them. 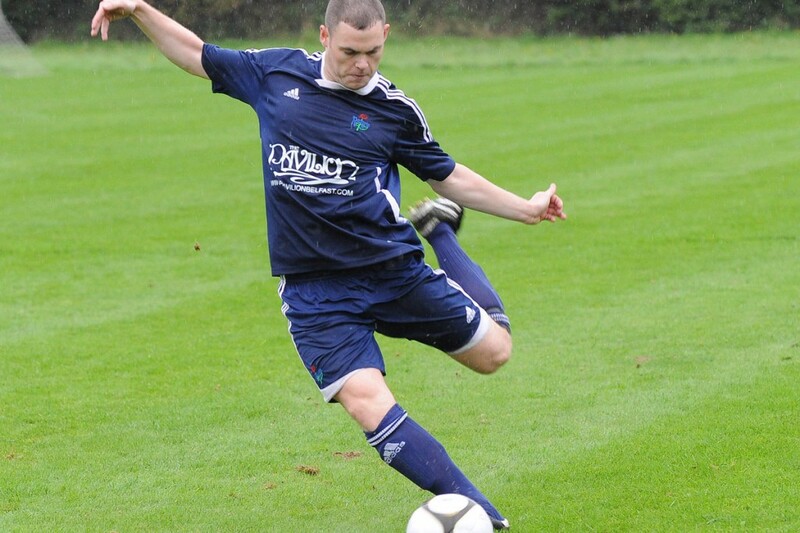 After being dumped out of the Border Cup, Rosario then suffered a 1-0 defeat to Comber Rec and on Saturday the South Belfast club fell victim to a late goal as Kilmore Rec snatched a 2-1 win. The Rosario boss believes that while lady luck has deserted his side, the performances are nonetheless encouraging and his charges are in a better place than where they stood this time last year. “We were on a good run a few weeks ago but this past two or three weeks we have been beaten by the odd goal,” he said. “Performances have been good but we just haven’t been getting the rub of the green as much as anything. “We are playing well but the only thing that is missing is results. “We could easily be sitting here having won the last nine in a row so we are not far away. “It’s just going to take a little bit of tweaking and I think if we were to get two or three wins then that could really send us off on a good run. Telford feels that his consistent team selections are a factor as to why his side has been gelling so well and singled out Rory McGilloway and Jonny Cleary as star performers this term. However, as luck would have it both are likely to miss this week’s game against Malachians having picked up injuries against Kilmore Rec. Another injury doubt is Brian McFlynn who has a knee injury and is also unlikely to line out. Telford believes that while these are certainly setbacks, it also affords some fringe players with the chance to force their way into the starting 11 and has total faith in the players who will come into the team. “Everyone has been playing well and what is also helping is that we are picking a very stable team,” added Telford. “I think last year we didn’t pick the same team twice and there would have been three or four changes every week. “This year we have had a starting 11 that is made up of around 12 or 13 players. “That is helping because they are all playing well. Rory McGilloway is playing up front and scoring goals. “Jonny Cleary has come back into the team and been a great addition for us. “I don’t think it has been a coincidence that our performances have improved since he has returned. “This week we are going to have to rely on players this week to come in and take their chance. While Malachians sit second from bottom in the table, the Rosario boss urged his players to treat their opponents with respect if they are to record the victory he feels they are capable of. Should they claim all three points then it is likely they will improve upon their current position of ninth given how tight things are in the division. “The bottom team in the Premier League is well capable of beating the top team so you can’t go in and think it’s going to be easy,” warned Telford. “There are no easy games. When you look at Malachians and their league position you would be fooling yourself to think it’s going to be an easy one – no way. “I would be expecting to win the game but I’m certainly not thinking it’s going to be an easy day out. “If we had won on Saturday then we would have went up to fourth or fifth in the league, level with Kilmore and with a game in hand.